Chives, Mint, Alyssum, Carrot, Cucumber, Radish and Turnip. 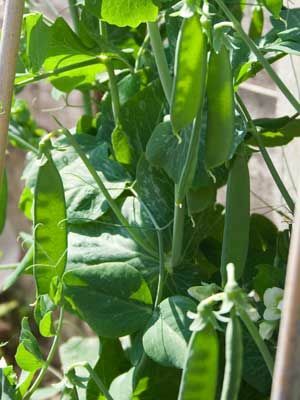 Start snow peas off under cover in a length of old guttering as this makes it easy to tip them into their final planting site. Or sow directly into the soil. Sow in batches for a continuous supply. Support plants with a strong row or wigwam structure over which netting can be tied for them to climb up. Alternatively, use twiggy sticks pushed into the ground near each plant. Pick whole pods regularly while still young and not stringy.